Potential corruption and match-fixing at the World Cup is aided by corrupt national football association officials, . FIFA’s ‘often odd’ attitude towards these officials protects the fixers at the World Cup. Uncle Frankie, the match-fixer, sat in the hot tub with players from the Swedish World Cup team. It was in a Los Angeles Hotel before their third-place match with Bulgaria at the 1994 World Cup. Uncle Frankie offered the players thousands of dollars in cash for their help with the match. They were at the under-20 World Cup in Qatar in 1995. They were at the 1996 Olympics in Atlanta. They were at the Under-17 World Cup in 1997 in Kuala Lumpur, Malaysia. They were at the World Cup in France in 1998. They were at the World Cup in Japan/South Korea in 2002. I saw them at the World Cup in Germany in 2006. They were at the Women’s World Cup in China in 2007. They were at the African Nation’s Cup in Ghana in 2008. They were at the World Cup in 2010 – where they succeeded in fixing four matches played in South Africa just before the start of the tournament with the help of an official inside the host organization the South African Football Association (SAFA). They were at the Gold Cup in 2011. They were at the last World Cup in Brazil in 2014. 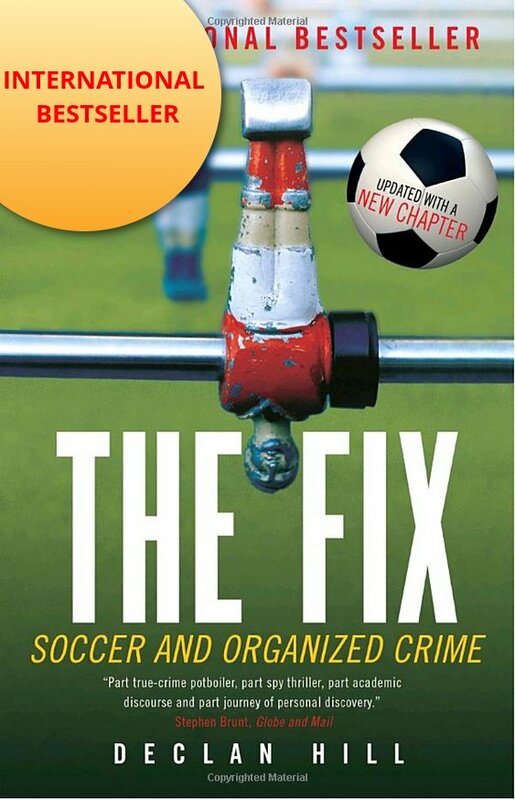 The sources who say that they were approached by the fixers or saw the fixers at these tournaments include players, referees, policemen, security officers, coaches, officials, bookmakers, bettors, fixers’ aides, runners and the match-fixers themselves. According to some of those same inside sources, match-fixers will be back at the World Cup in 2018. They have and will approach players and coaches to fix results in a few games during the tournament: we do not know if they will succeed. However, the question is not why would they be in Russia, but why they would not be. The essential conditions that allow them to run free at the tournaments are virtually unchanged. Here is the history and circumstances that permit these match-fixers to be at the world’s largest sporting tournament. Frankie Chung, aka ‘Uncle Frankie’, was the visionary Chinese-Indonesian fixer who inspired this new age of globalized match-fixing. He is known in the match-fixing world as a genius. Before Uncle Frankie it was usual practice for some players or teams to be approached by match-fixers when there were international football games played in Asia. In 1986, for example, the Canadian men’s national team was broken by match-fixing when four of its players agreed to take money to lose to North Korea in a match played in Singapore. The Canadian men have never made it to a World Cup tournament since that time. However, Uncle Frankie took this fixing of international matches to a new level. He also mentored the world-beating Singaporean group of match-fixers – Tan Seet Eng (Dan Tan), Rajendran Kurusamy (Pal) and Wilson Raj Perumal. Uncle Frankie taught many of their commercial rivals from Indonesia, Thailand and Malaysia. In the early-1990s Uncle Frankie realized that if the fixers travelled to games anywhere in the world, they could easily arrange a fix. At the 1994 World Cup in the United States, Uncle Frankie put his faith in the free market to the test. He led a group of the fixers to the tournament. The stories coming out of their tour are the stuff of legends: Uncle Frankie’s team of fixers provided a goalkeeper with a gorgeous prostitute to help sway a group-stage match. They even tried to fix one of the most-important games of the tournament between Sweden and Bulgaria for third place. Years later, four Swedish players spoke about the approach. They told the Offside magazine that “Frankie Chung” was staying at the same hotel. He was very confident and friendly. He gave them his business card and invited them to his room. There, Chung pulled out wads of $100 bills and got on a mobile phone to another fixer who was, allegedly, approaching some of the Bulgarian players. The Swedes said they immediately refused and left. Yet, in the Offside article, the goalkeeper Lars Eriksson said he had wondered about the game, saying some of the Bulgarian team appeared listless for long periods at the end of the first half when Sweden scored three unanswered goals. Wilson Raj Perumal, a convicted Singaporean fixer who has confessed in court to fixing games across the world, writes about Uncle Frankie in his autobiography, Kelong Kings. A reader might think that the security at the World Cup would have improved since 1994. Not so. The same essential conditions are at the World Cup for matches to be fixed. On April 29th, 2010, a few weeks before the start of the World Cup in South Africa, Jason Jo Lourdes, a runner for the Singaporean match-fixers walked into the headquarters of the South African Football Association (SAFA). Incredibly, he was able to arrange for the nearly-bankrupt host organization to work with the fixers in providing referees for a series of high-profile exhibition matches just before the start of the tournament. The fixers not only successfully fixed some of those games, they also stayed in South Africa during the World Cup approaching players and referees and trying to bribe them. In his autobiography, Perumal writes about approaching other referees at the tournament. During this World Cup, a number of sources were telling me that the fixers were at the South African World Cup and they were approaching referees and players to throw games. I wrote an article on that for Play the Game. Yet one of FIFA’s investigators in South Africa rather than doing any investigation into the presence of fixers at the tournament or gaining any background labeled me as a “high-priority intelligent target” in a report. However, FIFA did help arrest one-hundred Dutch female models for advertising a non-official beer. All the while, the match-fixers roamed free during the South African World Cup. This bizarre focus on exactly the wrong things has marked much of FIFA’s security efforts against match-fixers. Kavazashvili’s organization had a short life-span. A scandal over a refereeing decision led to his independent council being closed in 2012. Last year, during the Confederations Cup in Russia. I wandered around the hotels that the Cameroon team was staying at. I came into the hotel lobby. I walked down the corridors where their rooms were located. I was in the bars and cafes where the team sat. I choose to hang out with the Cameroonians because in some of the major international tournaments that their team has attended there have been rumours of fixed matches. There have been strange, massive odd movements in the gambling market on some of their matches. I am not accusing any of their players of throwing their Confederation Cup matches but I do say that in Russia the security around a potentially vulnerable team like Cameroon was laughable. One of the issues is that FIFA security people spend a lot of their time in meeting rooms rather than doing active intelligence work. Sometimes, they lead ‘anti-match-fixing’ education workshops for the players. The idea of these workshops is a good one. The problem is that FIFA officials generally stress that players should take the “ethical approach” and refuse bribes. It is difficult given the culture of FIFA to understand how the players might view this advice. For potential corruption at the World Cup is aided by one dominant and, largely, unchanged factor: corrupt national football associations. In their investigation, the U.S. Federal Bureau of Investigation (FBI) and Department of Justice, showed that officials across Latin and Central America in almost every single national football association corrupted virtually everything they touched: sponsorship deals, television rights, marketing, ticket sales. The subsequent FIFA trial in Brooklyn was held under the RICO statues (Racketeer Influenced and Corrupt Organizations Act): the specific laws used to prosecute major organized crime groups. The lawyers involved in the trial, defense and prosecution, all agreed with this legal definition of FIFA as an organized crime syndicate. Judge Pamela Chen said in the midst of proceedings that the head of the Brazilian Football Association (CBF) indicted for criminal racketeering and money laundering, and, at that time, still a senior executive of FIFA, may “have friends in high places”. The football associations of the Americas are not alone. There are many national football associations in Africa, Asia and Europe that are just as bad. Last week, the high-profile investigative journalist Anas Aremeyaw Anas ripped the lid off official corruption at almost level of the game in Ghana. It is the link between corruption at a national level and the often odd attitude of FIFA towards these officials that protects the fixers. The problem at the World Cups is that some of these national associations do not pay their players. There will be footballers at Russia 2018 who will be running on to the pitch in front of a packed stadium, with the game being broadcast around the world to billions of people and sponsors playing hundreds of millions of dollars and those players will not be paid. At the 2006 World Cup in Germany, the entire Togo team refused to play their final game, claiming their officials were withholding their bonuses. After the 2010 World Cup, the Nigerian government launched an inquiry into allegations of corruption among its soccer officials. The inquiry discovered that the entourage of coaches and physiotherapists was swollen by over one-hundred unrelated hangers-on. As well, the player’s hotel had been cancelled, flight plans disrupted and there was, of course, an argument over players’ bonuses. The last World Cup in 2014 saw the Ghanaian team not playing until the President of Ghana had personally charted a plane to fly their pay to them. To be clear, FIFA does give each of the national football association at the World Cup millions of dollars for logistics and players’ salaries. The problem is that the management on some of the teams takes the money and refuses to pay the players properly. There is a simple solution to this motivation for corruption: have FIFA pay the players directly. There is enough money to go around. FIFA claims that the World Cup generates $4 billion dollars so they should give the national associations a few millions and then pay each player a lot of money for playing in the tournament. Playing in a World Cup match should be like winning the lottery for a player. Even rich super-stars should feel the financial windfall and at the World Cup, most players are very far from being rich super-stars. If a player plays in a World Cup match pay them a couple of hundred-thousand dollars. If he scores a goal pay him another fifty-thousand. If he is a goal-keeper or defender and they keep a clean sheet pay them an extra one-hundred thousand dollars. Economists who study corruption call this “increasing the cost of corruption”. They discovered that a great way to stop bribery at customs post was to pay the guards their salaries. So it is with fighting match-fixing at the World Cup: pay the players. The Asian fixer (from Singapore) was being covertly taped in the back of a bar by a couple of investigators posing as investors in international match-fixing (there are plenty of rich gamblers who love this kind of investment) just before the 2013 Under-20 World Cup in Turkey. The fixer was explaining why many players at international tournaments will work with him and his colleagues. For weak teams going to the major tournaments if they find that they will not progress to the next round, the players ‘sell’ their final game to the fixers. Ian Preston and Stefan Szymanski, two UK academics, showed in a 2003 article that fixing flourishes in cricket when there is a ‘disparity of desire’ between the teams. Meaning that one team needs to win while the other does not. This is the situation of the third game in the group stage of the World Cup tournaments. These are ‘choke points’ of fixing. Leandro Shara, a Chilean sports tournament designer, whose company MatchVision has worked with ten different sports in four continents says, “These “dead-rubbers” are extremely vulnerable to spot-fixing or even match-fixing… The best way to prevent corruption is to ensure that every game is important”. Shara estimates that the probability of some form of “score manipulations” in groups of four teams is 50% in tournaments, where two teams classify to the next round. FIFA’s solution has been, in recent years, to monitor the gambling market for any unusual odd movements that may signal a fix is going on. They have hired the company SportsRadar to do this work for them. The problem is that the gambling market while good for predicting fixing in smaller leagues is not efficient during the World Cup. It was one of the most shocking losses in World Cup history. During the 2014 World Cup, there was a vast amount of on-line speculation and some very sharp odds movements in the sports gambling market during the shocking 7-1 loss by the Brazilians against the Germans in the semi-final game. Yet, the week before, an illegal bookmaker in Kuala Lumpur pointed out to me that in the game Brazil vs. Cameroon there was a multi-million dollar movement on one of the Asian gambling sites just as the game began. This movement indicated that someone, somewhere thought that Cameroon was going to lose big. They were right, Cameroon had a player sent off and ended up losing 4-1. After some controversy – and there was plenty around the Brazil vs. Cameroon match, for Wilson Raj Perumal, the former match-fixer had claimed that the previous Cameroon match had been fixed – FIFA released a statement saying that there was “no evidence” of a fix. FIFA was right. For there never is any evidence of a fix in the World Cup gambling market. Here is the open secret among insiders that FIFA and the gambling monitors do not like to mention to the general public. The World Cup gambling market is, most of the time, too big to monitor. The average betting market on each World Cup game is, according to Karl Dhont one of the men who used to be a high-level investigator for UEFA, 1 to 3 billion dollars. This means that the extraordinary movement during the Cameroon game was truly exceptional but it proved nothing. Here is the second open secret – a movement in the betting market does not mean that this was a fixed match. There were lots of movements during the Brazil vs Germany lop-sided game. No conspiracy there. Germany simply was, unexpectedly, a far better team than the Brazilians. 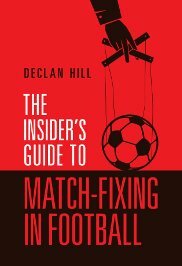 The third insider’s secret is that a fix does not have to be the favourite losing unexpectedly like the hosts Brazil did against Germany in 2014. Rather a good fix is one where no one notices. The team that is supposed to lose does so. They just lose above the point-spread and the fixers all make lots of money. Given all these conditions: match-fixers at the tournament, unpaid players and ineffective gambling market monitoring. How can we tell which games at Russia 2018 will be most vulnerable to fixing? Games at key “choke-points” of the tournament – third games in the opening group round of matches – when it benefits one team to lose and has no effect on the other team. Games that feature teams that have not paid their players. Games that feature teams from countries with a long tradition of official corruption. Football fans should be very careful when there are matches during Russia 2018 which feature all these three factors. Thanks for this post now, when everybody is watching the W.C. There is a global network of match fixers and structural problems in sport organizations… From your perspective, what are the global trends to tackle match-fixing in sport? Thanks, Mauricio H.
Dear Mauricio. Some of the problems come from the fact that the “sports integrity industry” has the same view of fighting corruption as the infamous analysis from a Goldman Sachs executive on curing disease. It is better for them to ‘manage’ the problem than to actually cure the disease. Same with sports integrity: lots of cliches, lots of conferences, very little real action. Almost all of the good work is done by people who are never mentioned in the media. All good wishes, Declan PS. See my previous blog entries for more background on this issue.